When working on the road, it is extremely important to be able to back-up files quickly and effortlessly. CalDigit TUFF portable drive is the latest solution with USB-C port to work with many computers and ultraportable laptops frequently used on the road. 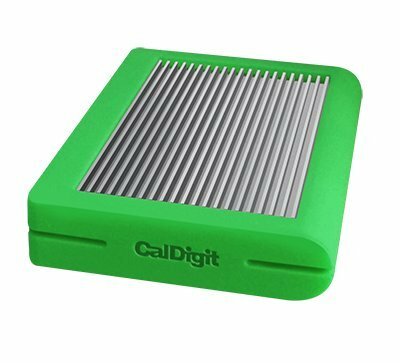 Whether you’re backing up high-resolution video files, or photos in-the-field, the CalDigit Tuff drive will not only protect your files from extreme weather conditions, but it will also back your files up lightening fast. CalDigit believes the compact form factor of the USB-C port is the perfect interface for use with small portable drive solutions, as it takes minimal real estate on the laptop and also offers users the best possible connectivity options. The implementation of the USB-C interface allows the Tuff drive to be used anywhere with the majority of computers in use today. This is made possible that the USB-C interface is backwards compatible with previous versions of USB thanks to the use of the included USB Type-C to Type-A cable. The CalDigit Tuff is an IP57 (Ingress Protection) certified device. Unlike similar products, CalDigit has made sure that the TUFF is capable of withstanding whatever is thrown at it. The IP certification is designed to designate and standardize the rating of solids or liquids into mechanical devices. The CalDigit Tuff has been engineered and certified to be extra TUFF enduring U.S. Military MIL-STD-810G standardized testing protocols. The Tuff was dropped repeatedly multiple times on different areas and it functioned seamlessly without any damage. Your data is safe with CalDigit Tuff! The Tuff is protected for 30 minutes of immersion in water up to 1 meter (3.28 ft.) as well as protection from solid particles such as dust and sand from damaging the drive. Feel confident in taking the Tuff on any adventure knowing that it's built TOUGH. If you have any questions about this product by CalDigit, contact us by completing and submitting the form below. If you are looking for a specif part number, please include it with your message.